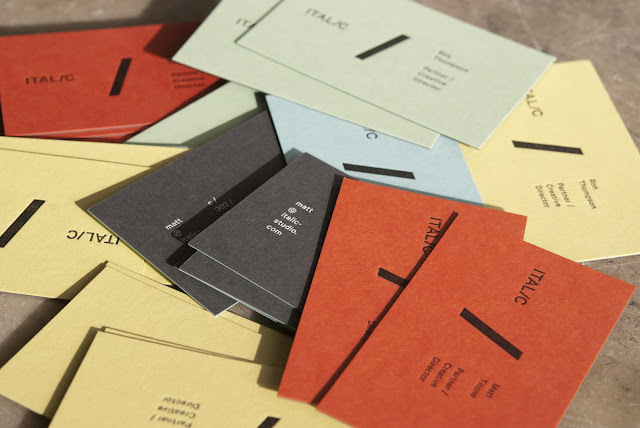 The gang over at Italic have been sending us some really great projects recently. We've also printed their business cards, which are a nice example of their work. Simple, bold and smart. The design lends itself to our production processes wonderfully. They selected a palette of four paper colors that were distributed randomly during the printing. Black letterpress on the front of the card is juxtaposed against the duplexed gray sheet on the back, stamped with white foil. The beauty of duplexing colored sheets is that the cards essentially have a full flood of color on each side without the need for ink, and when the cards are trimmed to size they reveal a crisp pop of color on the edge. So there you have it. 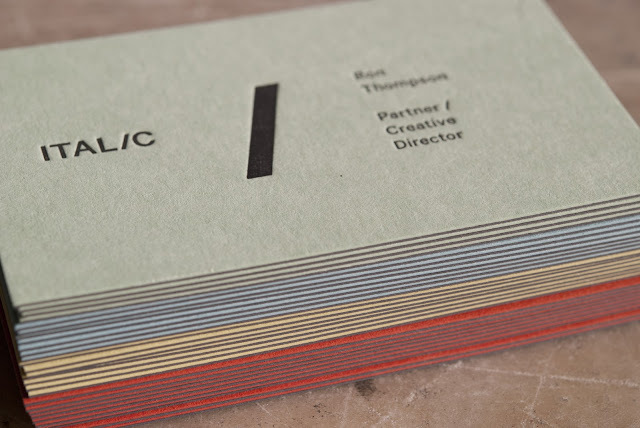 Smart design, three processes and of course, fine printing.